Snail Games’ steampunk MMORPG will be open to all soon. Snail Games has announced the open beta date for Black Gold Online. 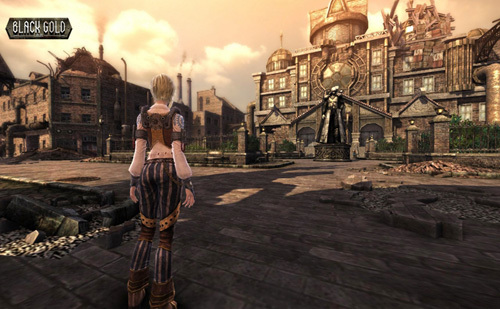 The free-to-play steampunk MMORPG will head into open beta on June 20, 2014. The publisher also announced that the premium Conqueror’s Edition of the game is now available for pre-order at its retail partners at Amazon, BestBuy and GameStop. The package costs $ 19.99 and includes cosmetic items, in-game currency, crafting materials as well as an exclusive mount that’s only available to pre-order customers. To sign up for the open beta and learn more, head over to the Black Gold Online website. Tagged Begins, Beta, Black, Gold, June, Online’, Open.